Securities industry professionals seeking to transact securities business as both a securities agent and investment adviser representative must register with the state securities administrator (in most states) and are required to pass the Uniform Combined State Law Exam, more commonly known as the Series 66 exam. 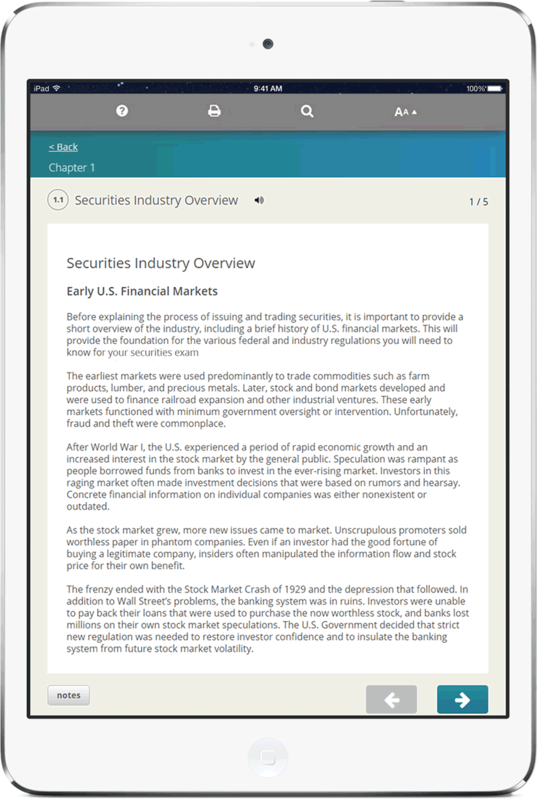 This exam was developed by the North American Securities Administrators Association (NASAA) and administered by FINRA. The Series 66 is a combination exam that may be taken as an alternative to both the Series 63 and Series 65. The FINRA Series 7 exam is a corequisite that must be successfully completed in addition to the Series 66 exam before a candidate can apply to register with a state. There is no required order in which these exams must be taken as long as both are successfully completed. Candidates looking to obtain a Series 66 license must have entry-level knowledge of the state securities regulations, ethical business practices, fiduciary responsibilities, securities product knowledge and technical analysis. This course will deliver the content needed to successfully complete the Series 66 examination requirements. Regulation of Broker-Dealers, Agents, Investment Advisers and Investment Adviser Representatives, regulation of securities and issuers, ethical guidelines and business practices, prohibited practices, administration of the Uniform Securities Act, communication with clients, custody of funds, economics and analytical methods, investment vehicle characteristics, investment recommendations, portfolio management strategies and techniques, securities trading, estate planning techniques, evaluating of customers and risks, customer accounts, cyber security, privacy, and data protection. "I enjoyed going through the lessons and felt that it prepared me well."